13: Didn't prove so lucky when it came to the Super Bowl, did it, chief? 94: People he's punched over Super Bowl comments. Ouch! Make that 95. 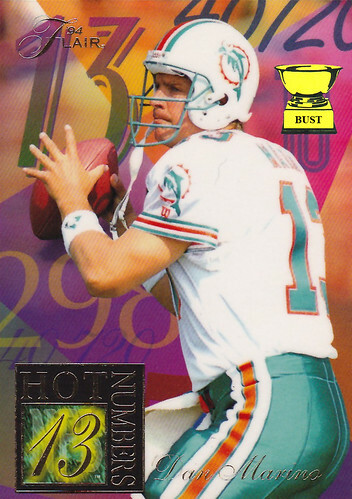 298: Times Shula had to remind him to snap up his chin strap. 40,720: Times he wished for just one decent running back.